If you have been to a Thai restaurant lately, chances are you’ve seen a Green Papaya dish on the menu. At our restaurant, The Pearl Dragon, it’s fairly new, but a big hit. Fresh, raw Thai green papaya, carrots, lime, cilantro, it just screams of flavor. It’s my new favorite dish. Finding a green papaya may be an adventure in itself. I love Bangluk Market on Reseda & Sherman Way in the San Fernando Valley (be sure to enter through the alley). It’s noodle section is to die for and I could spend all day looking through the rice and condiment aisle. Green papayas are abundant there and about $1 per pound. 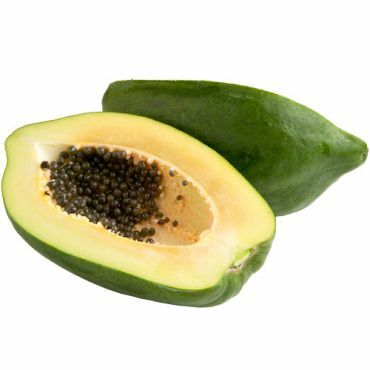 If you don’t have access to green papaya (it’s not a regular papaya that’s unripe, it’s its own variety), then use un-ripened mango or cucumber. You will still get that fresh crunch you are looking for. If you like your salad “softer”, let it sit in the refrigerator a few hours or even over night. Otherwise, you can eat immediately!